Tom Parker is a Senior Project Manager at Brentwood Communications, an authorized Motorola Platinum Dealer, providing two-way radio communication. Based in the United Kingdom, Brentwood Communications has supplied radio design solutions for all market sectors across the UK and worldwide for 40 years. Brentwood Communications utilizes D3M to create a visual representation of their radio networks and to document their networks for future troubleshooting. 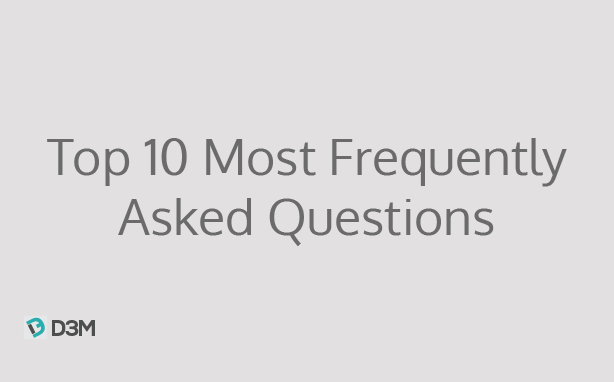 As a Senior Project Manager, Tom runs a team of engineers and is the company's systems engineer. All projects run through Tom, where he determines the components within all of their network installations. His daily activities entail the configuration of systems, liaising with customers, technical support and the designing of DAS systems. Tom has been working in the two-way radio industry for 4 years and interacts with customers, staff, and suppliers on a daily basis. The Brentwood Communications team began their search for a network diagramming software in 2017, as the company found it time-consuming to work and build off installations from previous engineers, where documentation wasn't provided. "We wanted something that would allow for a visual representation of the system, benefiting both us and our customers." 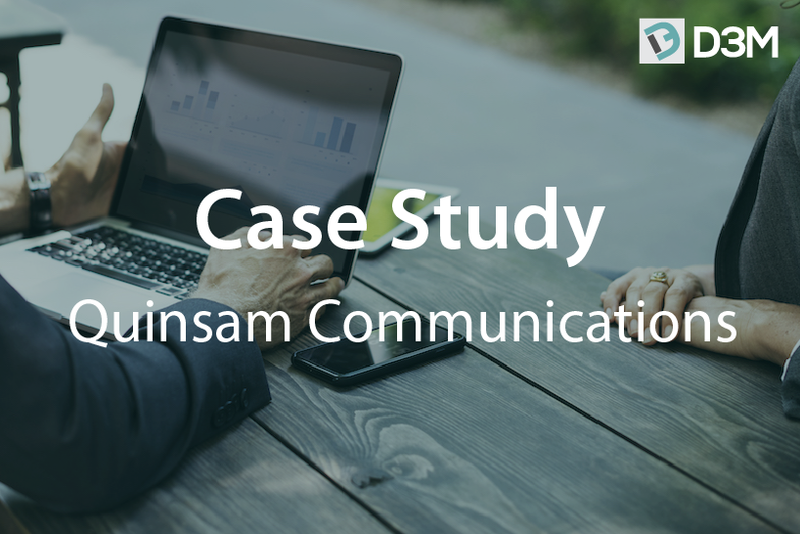 Tom and his team wanted a way to document and collaborate on their network designs, as well as the ability to accurately communicate their network designs to their customers. Brentwood first heard of D3M through D3M partner, Airsys, who has been using D3M to collaborate with their dealers for several years. Before purchasing D3M, Brentwood would use plain old pen and paper to design and document their networks, utilizing some mapping tools for path profiling when needed. The team ran into roadblocks with this method when trying to work on previous installations where there was limited documentation. Brentwood has been using D3M for over a year and throughout the company, there are 3 power users of the tool, including a communications engineer and technical sales. The team uses the tool 3 to 4 times a week to design and document their networks for present and future use. The feature of D3M which Tom finds the most powerful is the diagram, as it allows for a visual representation of systems. “D3M has developed our installations to the next level, we’re able to design/deploy and manage detailed systems from any PC in the world including while on site with customers should any information be needed. We recommend it to all of our partners within the industry.” An additional feature Tom would like to see added to the D3M roadmap is power calculations for splitters/components. 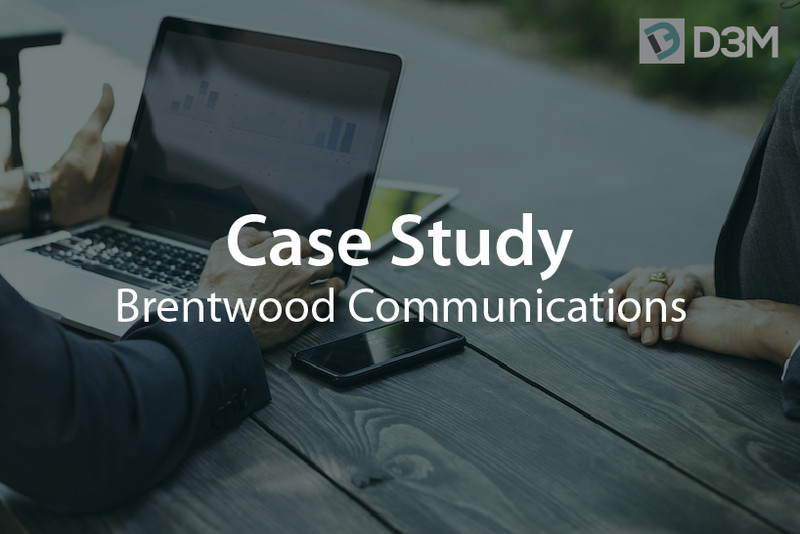 D3M has been beneficial to Brentwood Communications as "it visualizes our thought process and allows us to articulate how we envision our systems to work. We also find common faults or errors when planning systems which when captured in the early stages prevents faults further down the line. This is a tool that we would not function without and provides a lifelong backup of our installations to cross-reference when needed." D3M has enabled Tom and the Brentwood Communications team to document their networks for future troubleshooting while creating a visual representation of their radio networks.